Never mind stressing over countless different charts, there's only one that really matters. "Will the recent weakness in a broad swathe of economic data be a flash in the pan or does it herald the start of a new global downturn?" — Shearling asked. 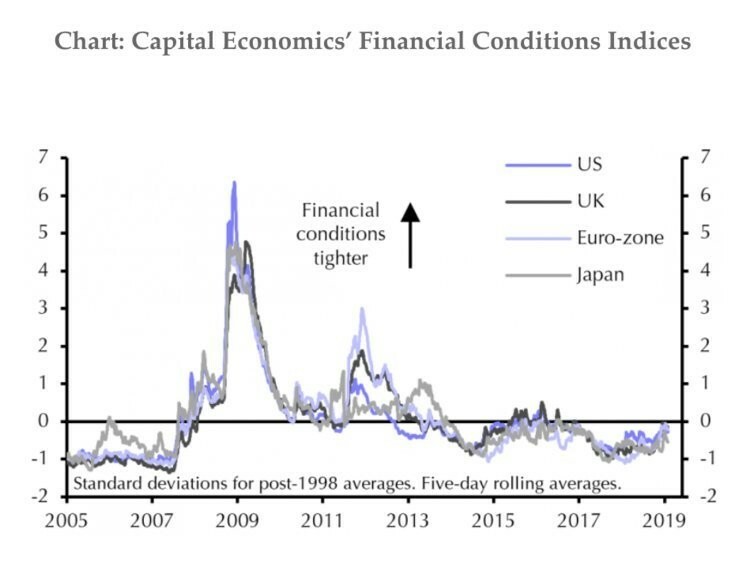 "The answer is likely to depend in part on what happens to financial conditions."